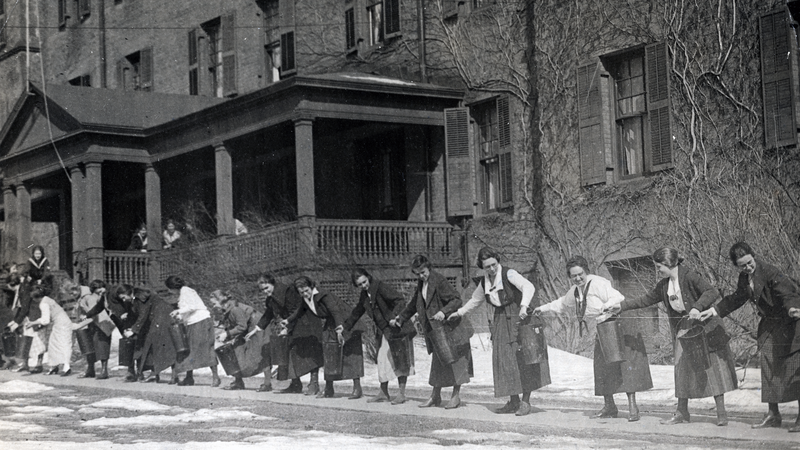 In late 1895, Mount Holyoke students decided to form a fire brigade. And in doing so, they made history. A story that year from the New York Journal reported that theirs was the first all-women’s fire department in the nation. As far as we know, this amazing story checks out. For the students at Mount Holyoke, the need for a fire prevention group was strong. Fire danger on campus was high and burn times were fast. 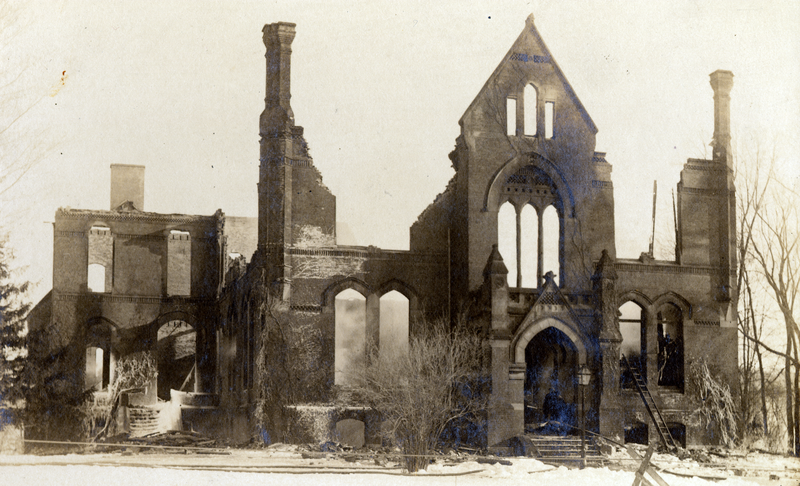 Fires, ranging from small room fires to entire buildings burning, were a part of the College’s history. Having a women’s fire brigade wasn’t common at the time and isn’t common now — firefighting is historically a very white and very male profession. According to the National Fire Protection Association, based on averaged data from 2011 to 2015, only 8.1 percent of firefighters are black, 9.2 percent are Latino and 4.6 percent are women. The fire brigade was arranged by Mount Holyoke’s Athletic Association, a student organization that managed sports teams and equipment and planned events such as field days. It was headed by the association’s captain, Anna B. Converse from the class of 1897. Members were originally chosen “not because of muscle, but because of mind,” the New York Journal story said. Captain Converse believed calmness was more important than strength in fire fighting. The students were by all accounts very level-headed and efficient. The New York Journal reporter in 1895 explained that “it is considered a disgrace if any member of the corps loses her self-possession in the least.” Later on, members were also given physical tests in running, climbing rope ladders and lifting weights. The brigade’s first fire fighting opportunity came days after their first drill: Shortly after 11 p.m., a student’s curtains caught fire when the head fell off of a match she was lighting. The flames quickly traveled to other items in the room. The students on the fire brigade got out of bed and rushed to the scene. They had the blaze under control in a matter of minutes. 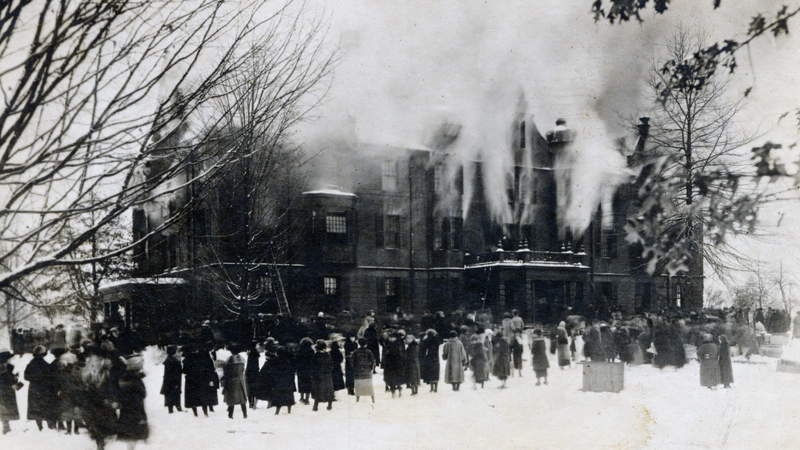 Although there were certainly some fires on campus that were too strong and large for the buildings to be saved — the Seminary Building burned down in 1896 and Williston Hall burned in 1917 — the students prevented a great number of other losses. In 1909, when the basement of the gymnasium (now Blanchard Hall) caught fire, the College watchman tried unsuccessfully to stop the flames on his own. The brigade arrived on the scene and got him safely out of the building and worked to put out the fire. Since there were no other people in the building, those assigned to lifesaving evacuated the gym equipment so it wouldn’t be damaged. Once the fire was out, the students didn’t linger but went straight back to bed for class in the morning. Members of the brigade were very popular, even idolized. Students would watch and cheer for brigade members from their own residence halls and for their favorites. A reporter for the The New York Herald in 1911 stated that “what a football team is in a man’s college the fire brigade is in this community” and compared the campus to “The Princess” by Alfred Tennyson, a poem that tells the story of a princess who runs away to found a women’s university where men are forbidden. Members of Mount Holyoke’s fire brigade, 1920s. The New York Journal author in 1895 emphasized just how capable the students were, noting that they “would be glad if they could slide down greased poles, mount hook and ladder trucks, and be drawn by dashing horses to protect not only the college building, but the surrounding neighborhood.” And they did. At the time South Hadley didn’t have its own fire department, so Mount Holyoke’s brigade was the first for the town as well. On one occasion the local public school caught fire and the College’s fire brigade was the first to arrive. They immediately started removing furniture and wetting the flames with buckets and a hose. They had largely saved the building by the time a nearby fire department arrived. 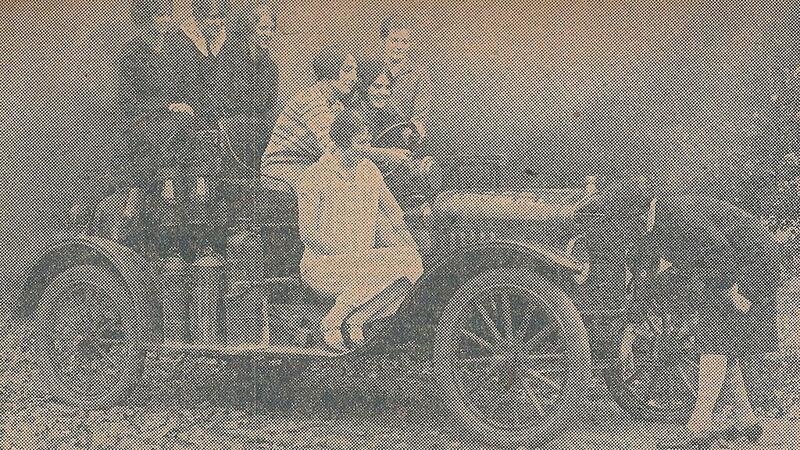 Mount Holyoke’s fire brigade continued into the 1920s. Today, students serve the community as EMTs with Mount Holyoke’s volunteer-based Medical Emergency Response Team (MERT). They work in tandem with the local fire department to provide students medical aid in times of emergency. Want to know more about the fire brigade, MERT or other student groups? Visit the Mount Holyoke Archives and Special Collections, open Monday through Friday from 9:30 a.m. to noon and 1 to 4:30 p.m.
Join a community of firsts. 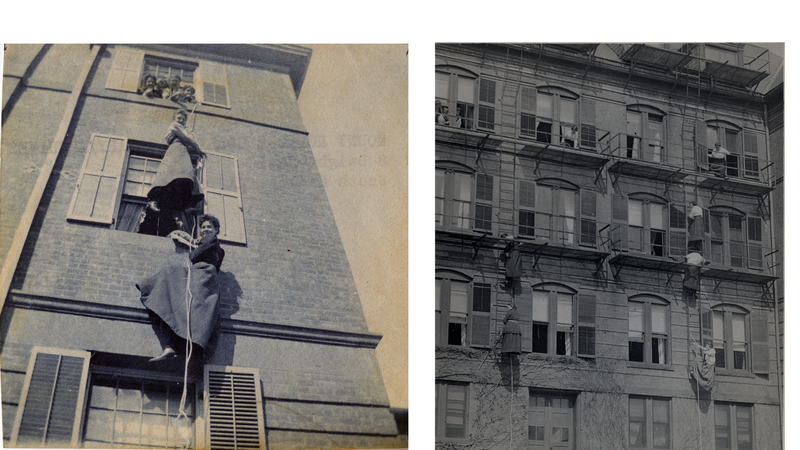 Photo at top: Students shown during a 1920 fire drill. 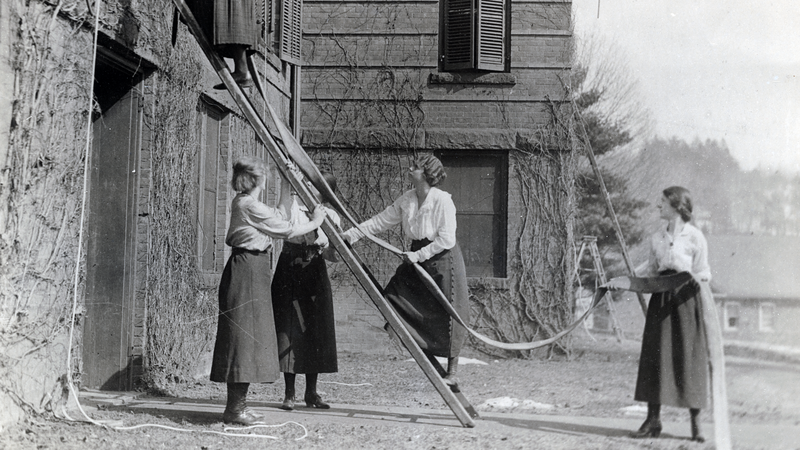 All photos are courtesy of Mount Holyoke College Archives and Special Collections. Samantha Snodgrass is a gender studies major from San Diego, California. She is interested in investigating identity, history and how we understand the world. Outside of her major she also loves taking classes in dance. 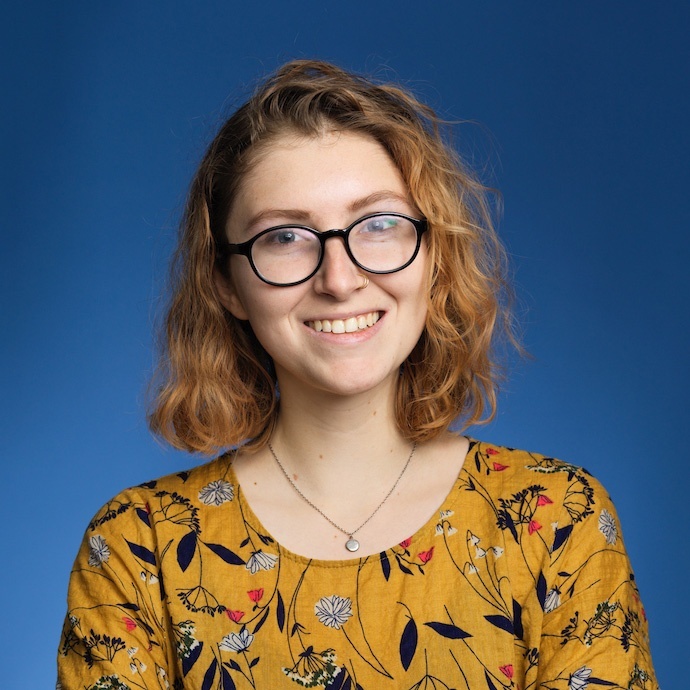 Snodgrass, who has been a student research assistant in Mount Holyoke College’s Archives and Special Collections since May 2015, plans to pursue a career in museums and archives. She has curated a solo exhibit on music at Mount Holyoke, and co-curated exhibits on the Mount Holyoke News and physical education. 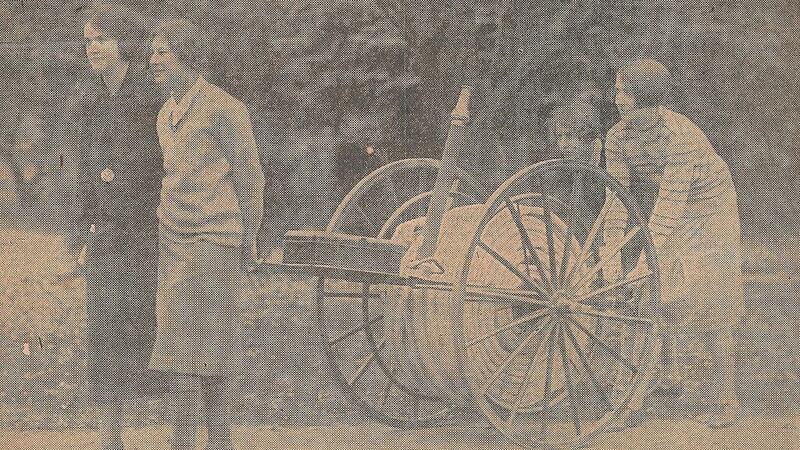 During her research for this year’s archives summer intern exhibit entitled “From Calisthenics to the Olympics: Physical Education at Mount Holyoke,” she found information on the College’s fire brigade among the Athletic Association files and knew that it was a story worth sharing. Snodgrass has also created zines on the fire brigade and on the history of Blanchard Hall, both of which are available in the archives.